Is your firm poised for long-term success and viability? Do you even know what that looks like for your firm? The reality is that most CPA firms have their work cut out for them if they want exiting partners to retire comfortably and future leaders to flourish. 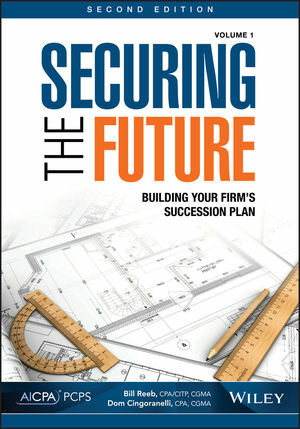 In the new edition of this popular book and its companion workbook, Reeb and Cingoranelli impart the same no-nonsense advice on succession planning and management that they share with their clients, providing you with the benefits of their years of experience, research, and methodologies. Ensure your firm survives the departure of key people by creating or improving your succession plan, and more!